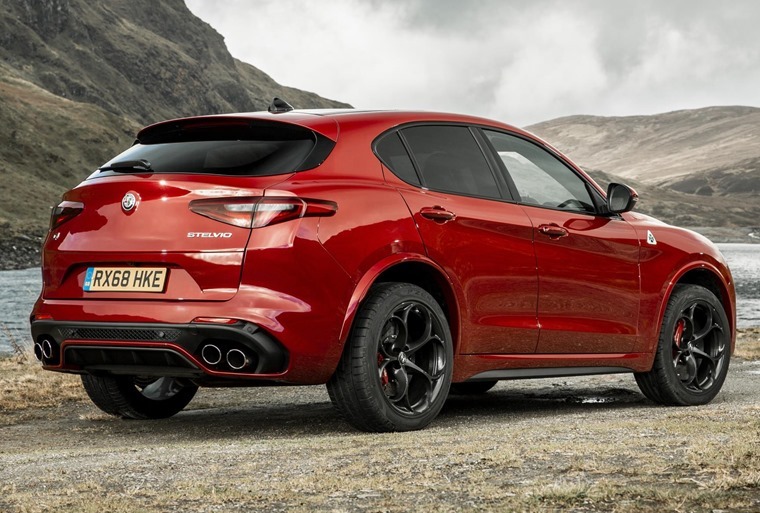 Setting a new benchmark in the premium SUV segment with its combination of awe-inspiring design, performance and technology, the Alfa Romeo Stelvio Quadrifoglio is now available to lease. The Alfa Romeo Stelvio Quadrifoglio completed the gruelling Nurburgring in just 7 minutes and 51.7 seconds. At its heart there’s a Ferrari-derived 2.9-litre bi-turbo V6 petrol engine that delivers 503bhp and 600Nm of torque. Combined with a slick eight-speed transmission that’s capable of shifting gears in just 150milliseconds, it gets from zero to 62mph in 3.8 seconds and is capable of 176 mph. This is combined with the innovative Q4 all-wheel drive system, to offer a potent combination of unbeatable performance, traction, driving pleasure and safety in all situations. 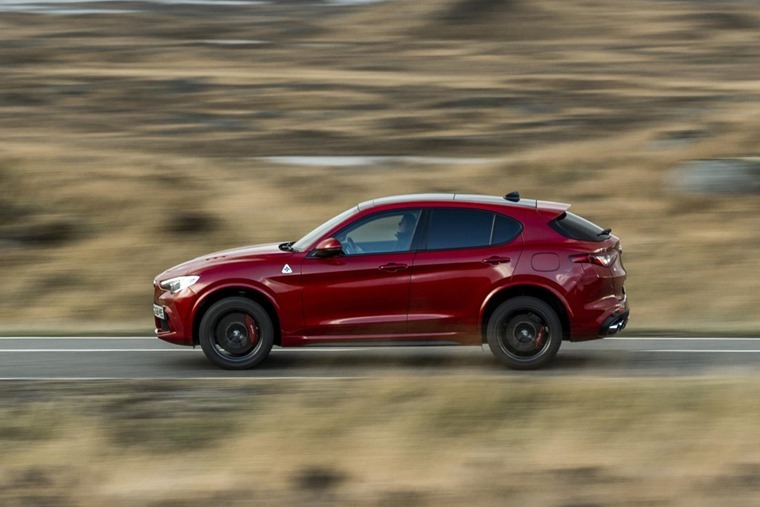 In combination with the AWD, the standard Torque Vectoring technology also optimises the Stelvio Quadrifoglio's drive distribution and accentuates its sporting character. The two electronically controlled clutches in the rear differential make it possible to control torque delivery to each wheel separately. This ensures the optimal transfer of power to the ground even when the car is pushed to its dynamic limits, without the need for intrusive inputs from the stability control system. On top of the fiery engine and class-leading gearbox, the Stelvio uses lightweight materials such as carbon fibre, that provide it with a 50/50 weight distribution and excellent torsional rigidity. Alfa claims that an adaptive suspension and steering set-up makes it the most direct set-up available in an SUV, too. 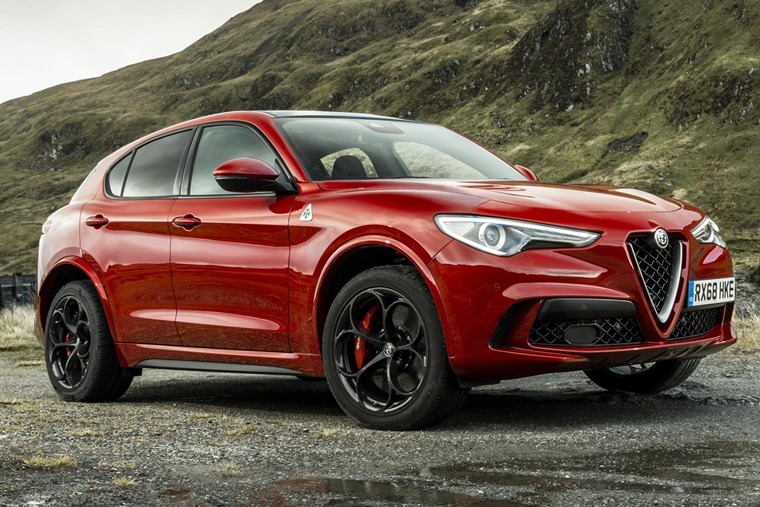 Externally, the Quadrifoglio is marked out from lowlier Stelvios by quad-exhaust pipes, a sportier body kit, a vented bonnet and of course the famous four-leafed clover badge. Larger alloy wheels are also set to feature. 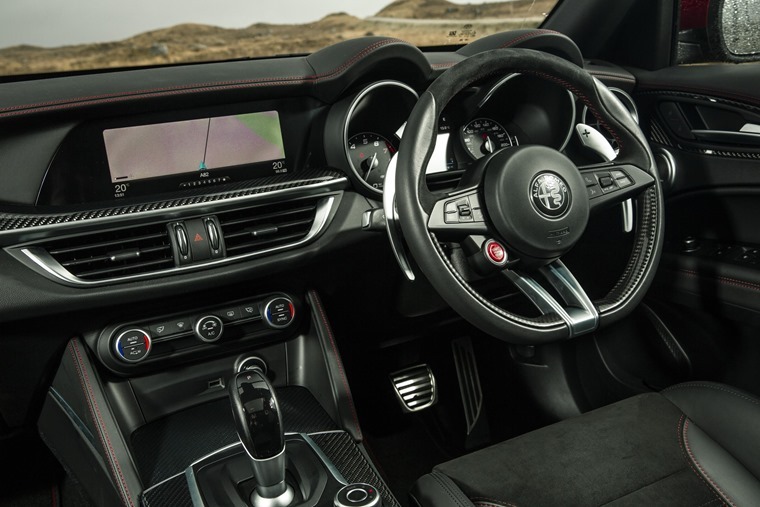 The centre of the dashboard is dominated by the 8.8-inch Alfa Connect infotainment system, with Apple CarPlay and Android Auto as standard. Available to order now, check out lease deals here or alternatively, read our review.